I think this is EYE Specialux white HPS lamp. He says 2200K so it isn't white. The colour rendering index is 65 though. Yes it says Specialux on the lamp etch, but honestly I wasn't sure if it's a white HPS or deluxe HPS. EYE made these up to 400w. Got it on the good ol' bay. 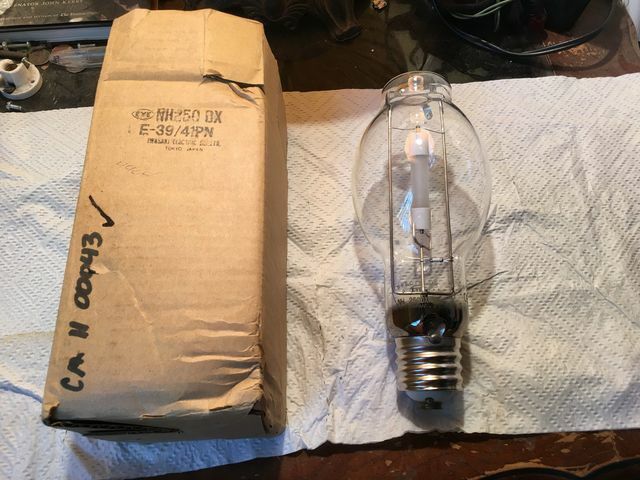 I think EYE still makes HPS retrofit lamps, but they're now made in USA.